Children’s Week was celebrated across the country last week with NAPCAN holding events in both Queensland and across the Northern Territory. The 2016 theme for Children’s Week was “Children have the right to reliable information from the media” based on Article 17 from the UN Convention on the Rights of the Child. The Young People and the Media Q&A Forum held in Queensland was a huge success, providing a platform to discuss the portrayal of children and young people and the importance of hearing their voices in the media. The event was moderated by NAPCAN President, Teresa Scott, with a touching welcome by 11-year-old, Queensland Children’s Week Junior Ambassador, Rosie Sellars. Our wise and entertaining panelists included Bianca Hunt (university student), Nathan Kearney (4ZZZ), Siyavash Doostkhah (Youth Affairs Network Queensland), Sharna Norman (CREATE Foundation) and Shannon Fentiman (Minister for Child Safety). Highlights of the discussion included personal examples about damaging stereotypes in the media, and genuine concern about the recent Valuing Children Initiative Benchmark Survey which showed the top five words used by adults to describe children as: spoilt, fortunate, lazy, selfish, and vulnerable. Overall, it was heartening to hear the honest voices of young people and the respectful way that many adults are listening to their needs and recognising the role of the media. Events for Children’s Week were also held across the Northern Territory, with a total of 13 events taking place in Darwin, Palmerston, Batchelor, Alice Springs, Humpty Doo and Yulara. The Northern Territory launch of Children’s Week in Darwin was hosted by the Junior Police Rangers in partnership with NAPCAN. A panel of media and youth advocates was asked questions by young people from CREATE Foundation about how children and young people are portrayed in the media. The panel was chaired by the Youth Ambassador for this year’s National Foster and Kinship Care Conference, and comprised the Assistant Minister for Youth Ngaree Ah Kit, Jared Sharp who is a child rights’ lawyer from NAAJA, Felicity James, ABC newsroom journalist and Helen Davidson, NT correspondent for The Guardian. The event also featured a special performance by Upai Purri, a local Torres Strait Islander Youth Dance Troupe. The event in Yulara invited local children, playgroup mums and bubs and families to participate in the Children’s Voices Project (read more here), asking children to draw or write what they like about their community and what they’d like to change. 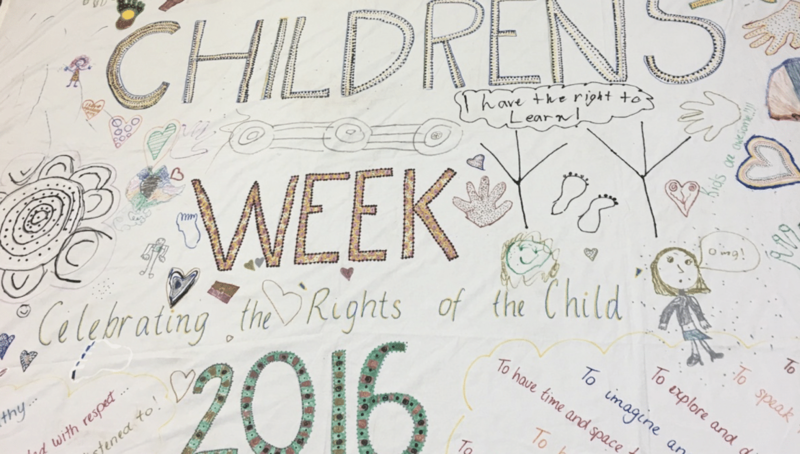 A big thank you goes out to all who attended Children’s Week events and contributed to the discussion, especially the children and young people.